Today, our people enjoy unprecedented security and prosperity. 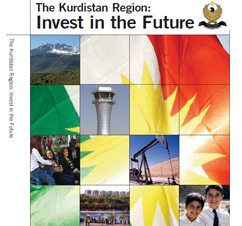 Since 2003, we have created a democratic and economically vibrant Region, and take our role as a beacon of hope for Iraq seriously by providing a model of economic activity, ethnic and religious tolerance, security, and progress. 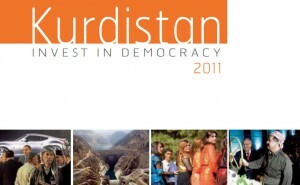 We have also been among the most active and prominent proponents for the development of a stable, inclusive Iraqi state. 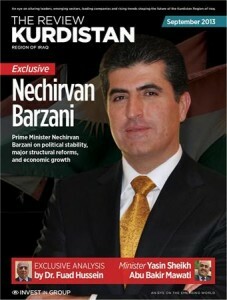 Here I will guide you through recent developments in the Kurdistan Region and explain our vision for the future. 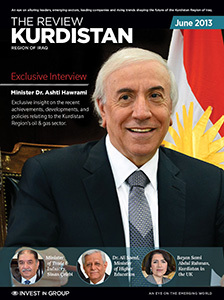 The Kurdistan Region of Iraq is experiencing an unprecedented period of development, which we were able to consolidate because of the overthrow of Saddam Hussein’s regime in 2003. Having emerged from the darkness of dictatorship into the light of democracy, we are determined not to squander this opportunity. Many governments worldwide have realised the impact of IT and the important role it plays in modernising their administrations, in enhancing government services and subsequently in contributing to economic development. 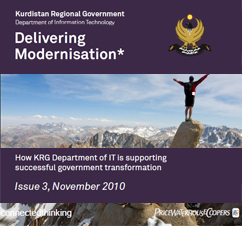 The KRG Wide IT Strategy aims at orchestrating the government’s investments in IT in order to maximise the benefits and coordinate the efforts. 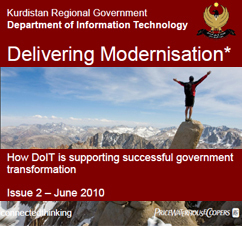 The adoption and use of a government wide IT strategy that will lead to our e-government program has significant benefits for the Kurdistan Regional Government in the delivery of more effective and efficient information and services. The purpose of this publication is to provide a useful insight into the work, the journey and the direction of the Department of Information Technology. We live in a new world where information and communications are strategic assets. 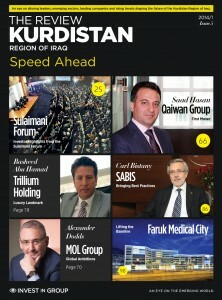 We see ICT as a progressive and significant driving force for our future. Information and Communications Technology (ICT) will be our key to unlock great potential in the Kurdistan Region, helping us progress leaps and bounds towards the development of our region.